Tennis courts, horseshoe and racquetball courts, volleyball, baseball and softball athletic fields, covered picnic areas with barbecue grills, and playgrounds are found throughout the community. To learn more or reserve space please visit http://www.cityofloveland.org/departments/parks-recreation or call 970.962.2727. The Hatfield-Chilson Recreation Center, located at 700 E. Fourth St., features a swimming pool with water slide, racquetball courts, basketball courts, two hot tubs, a steam room, and a full fitness center. There are more than 13 miles of paved trail beginning at Boyd Lake State Park winding through Loveland on a picturesque trail ending at the Big Thompson River along Wilson Avenue. The trail is used for biking, walking, running, skating, and rollerblading. Funded by Loveland’s share of proceeds from the Colorado State Lottery, the trail provides protection of natural resources and education and improves quality of life and health. When completed, the project will provide 20 miles of off-street trails. 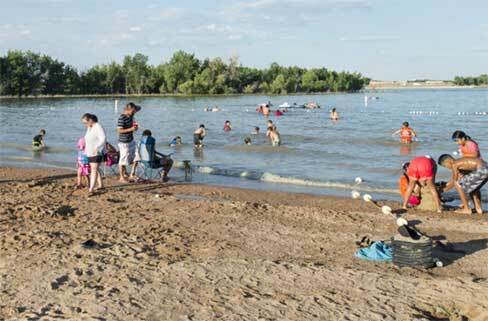 Boyd Lake State Park is located in Loveland just north of Highway 34. This state park is a water sports haven for Northern Colorado, attracting visitors who enjoy boating, water-skiing, swimming, fishing, wind surfing, bicycling, walking, hunting, and wildlife viewing. The park also features campsites accommodating tents, pick-up campers, trailers and motor homes, as well as picnic areas, volleyball court, horseshoe pits and playground areas, two paved launch ramps, and a six-lane ramp. 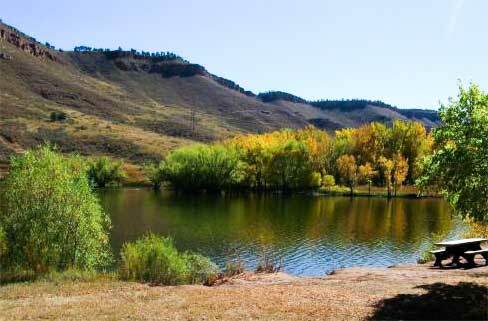 Carter Lake is located in the foothills in southwest Loveland, clocking in at 3 miles long and 180 feet deep at the deepest point. Boating, water skiing, sailing, scuba diving, windsurfing, swimming and fishing are water sports available at Carter Lake. Boat mooring, gasoline, and boat rentals are offered at the Carter Lake Marina (970.667.1062). Open year-round, hiking trails and horse trails are abundant on the 1,000 acres surrounding the 1,100-acre reservoir. Electrical, non-electrical, and tent camping is on a first-come, first-served basis. 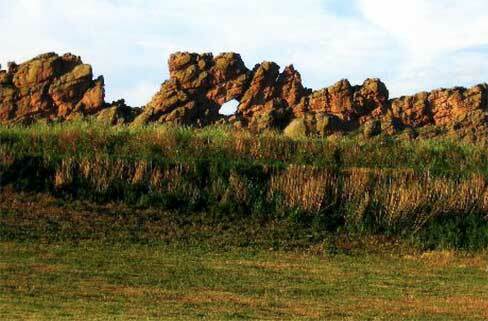 Devil's Backbone is a geological landmark on the western edge of Loveland just off Highway 34. Added to the county's open space in the fall of 1999, the Devil's Backbone offers 4.9 miles of trail, including a 3.5-mile loop trail for hiking and running, plus 15.1 miles of connecting trail to Lory State Park. Featuring towering rock formations, it is an ideal location to view wildlife. An interpretive brochure that corresponds with numbered stops along the trail educates visitors about the native flora, abundant fauna, impressive geology, and rich and colorful history. Flatiron Reservoir is located northwest of Carter Lake and is surrounded by 200 acres of public lands. Sitting at just over a mile high, its 47 acres of water is popular for fishing. It is stocked with rainbow trout several times in the spring and fall. Non-electrical and tent camping for a period of 14 days in any 30-day period is the maximum. Open year-round, there is no boating on the reservoir. 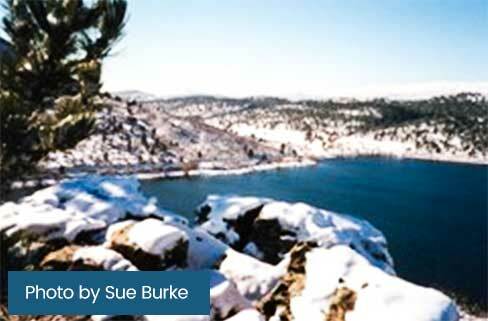 Also open year-round, Pinewood Reservoir is just beyond Flatiron and sits at 6,580 feet elevation. More than 300 acres of open land surrounds this popular trout fishing and camping area. Wakeless boating is allowed for fishing rainbow trout, browns, Snake River cutthroat, and, occasionally, lake trout. 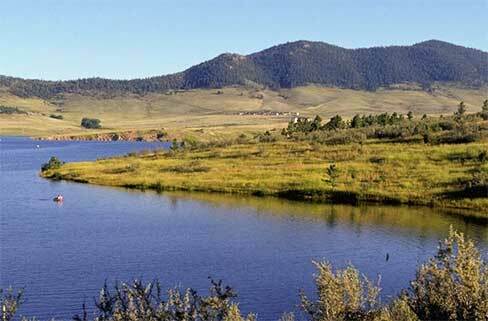 Ramsay-Shockey Open Space, across from Pinewood Reservoir, was purchased in 1997 to protect important wildlife habitats and to provide a buffer to Pinewood Reservoir. A 4-mile trail allows hikers and mountain bikers to enjoy the surrounding valley. Mehaffey Park (3350 W. 29th St.) is a premier park destination. 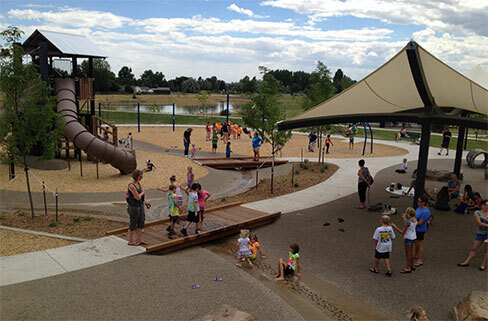 Nestled in west Loveland near the foothills, this 64-acre park boasts amazing views, a stream and waterfall, mosaic artwork, skate park, dog park, recreation trail access, nine-hole disc golf and more. Play and recreation amenities include an adventure playground complete with treehouse, basketball/tennis/pickleball courts and an educational arboretum. Enjoy a picnic under one of the reservable shelters or on the soft and supple grass areas. Winner of the 2016 Starburst Award for Excellence in Use of Colorado Lottery Funds and Denver Westword’s Best Of for Best Skate Park. Several smaller lakes sit within the city's boundaries. Boedecker Reservoir (2 miles west on First Street to County Road 21 then a half mile south) is a wakeless boating area. 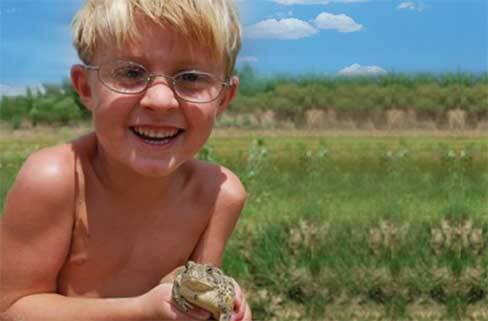 Sailboats and camping are prohibited, but fishing, wildlife viewing, and hunting for waterfowl and doves are popular activities at Boedecker. Lon Hagler Lake is also a wakeless boating area. Camping, fishing, wildlife viewing, an archery range, and a nature trail are available with an annual or daily use permit.